White, red and purple were the owners favorite colors. 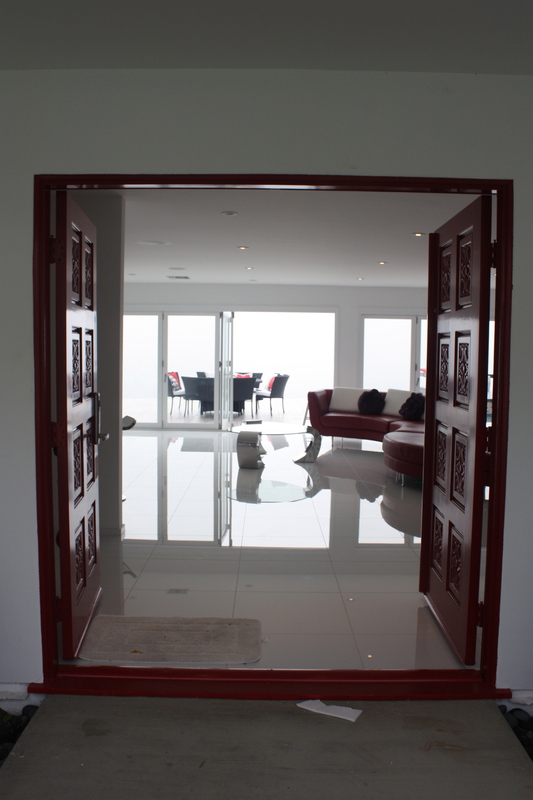 We used polished white porcelain tile for the flooring which set the foundation for the flowing yet sophisticated red sofa and chrome and glass coffee table. 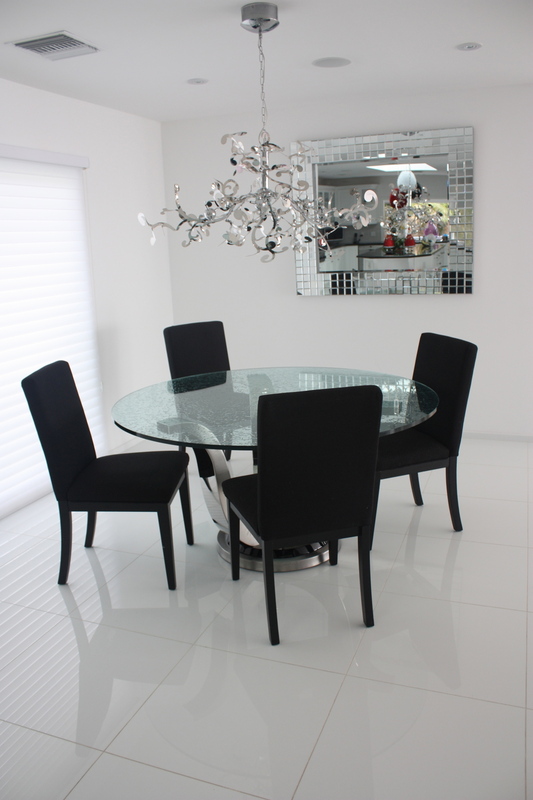 The formal dining table and chairs are high gloss white with chrome legs. We finished the look by adding a beautiful wall of purple blend murano glass mosaic tile. Adding a few accents of purple and red in floral arrangements and pillows balanced the look throughout the room.